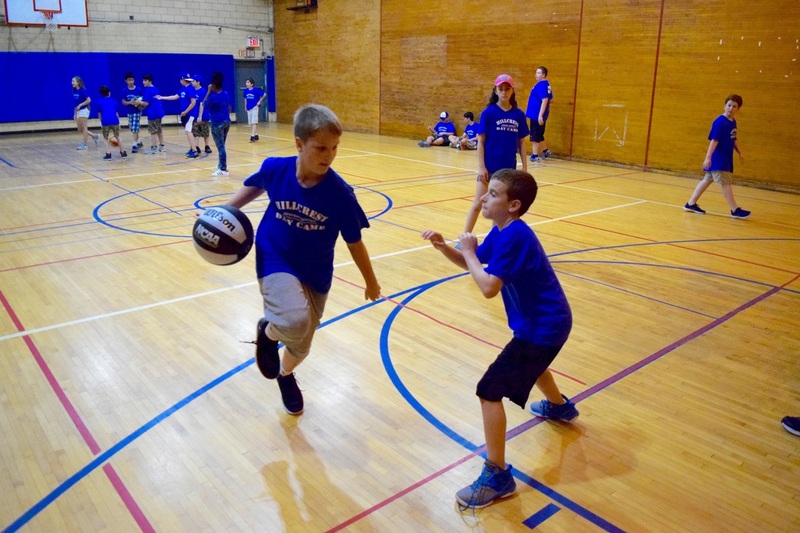 Our athletics program is run by a Physical Education teacher and provides campers with the opportunity to learn and participate in various sports: Softball, Kickball, Basketball, Tennis, Soccer, Volleyball, Newcomb, Football, Ultimate Frisbee, and more. Boys in our Senior Division receive Cross-Fit Instruction at an off-site facility, and our Nursery/Kindergarten & Lower Divisions participate in Gymnastics and our Senior Division Girls participate in Hip Hop and Dance at an off-site facility. At our weekly BBQs, campers have the opportunity to participate in a number of outdoor sports, like softball, soccer, and volleyball.